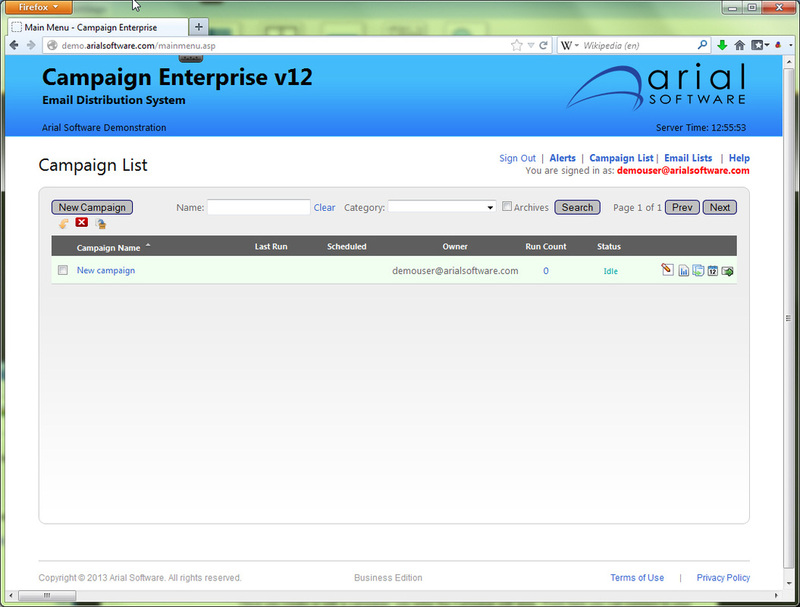 This is the main menu screen once you log into the Campaign Enterprise system. From this screen you can see all of your campaigns, view reports, run campaigns, and if you are an Administrator you can go into the "Admin Settings" to manage system-wide configuration. Once you create or edit a campaign, you enter the Campaign edit area. 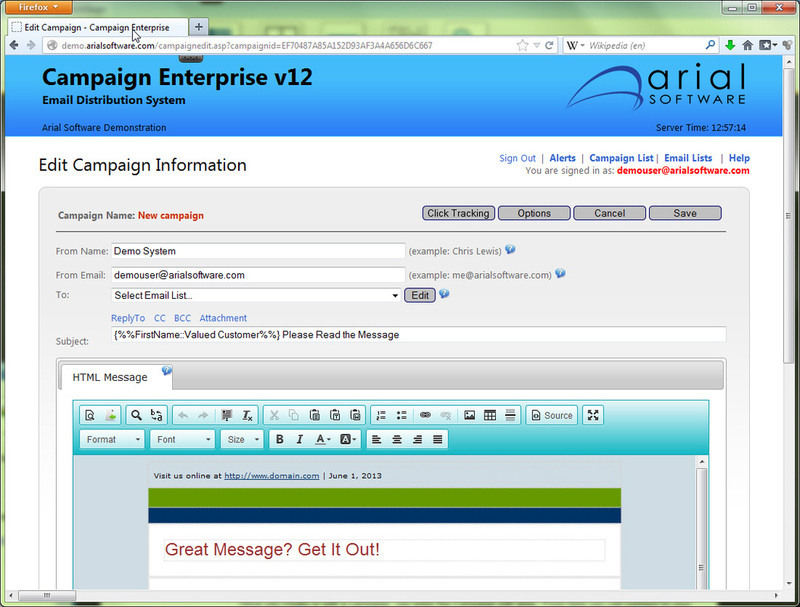 From here you can connect to your database for email addresses and other information for merging, create the content of your message, tell Campaign Enterprise which SMTP server to use to send the campaign, and also define settings for other for tracking activity in the program. Create your HTML and Plain text messages. 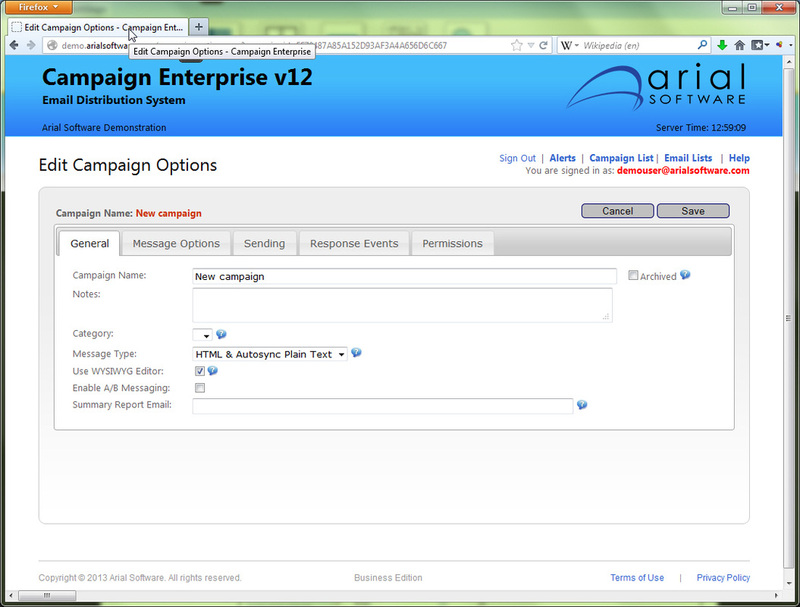 This screen shows some of the other options in Campaign Enterprise. There are many others screens to show, but this will give you a flavor of how the interface works when in Campaign Enterprise on a browser. Check out the demo of the program here.